Do I Need to Train BOTH Sumo AND Conventional Deadlifts? Do I Need to Train BOTH Sumo AND Conventional Deadlifts? Reader Question of the Week: Do I Need to Train BOTH Sumo AND Conventional Deadlifts? I was wondering if I need to train BOTH Sumo AND Conventional Deadlift’s or just the variation I use in competition? I prefer Sumo over Conventional as I’m stronger with my Sumo Deadlift. However, some coaches say I need to train both while others say I only need to train what I actually compete with…. Unquestionably one of the most common questions I receive on a weekly basis, the answer might actually surprise you. To de-bunk some of the most common myths surrounding this topic, in this article I’ll outline the major points which must be taken into consideration when programming for optimal Deadlift performance. I’d note, if you’re interested in learning the intricacies behind Sumo & Conventional Deadlifting, I covered both in excruciating detail in my article, Sumo and Conventional Deadlifting: An Overview of Technique, Programming, and Individual Weaknesses. Pre-existing injuries and other related conditions aside, I can’t think of a single type of lifter that should only perform Sumo OR Conventional Deadlifts. 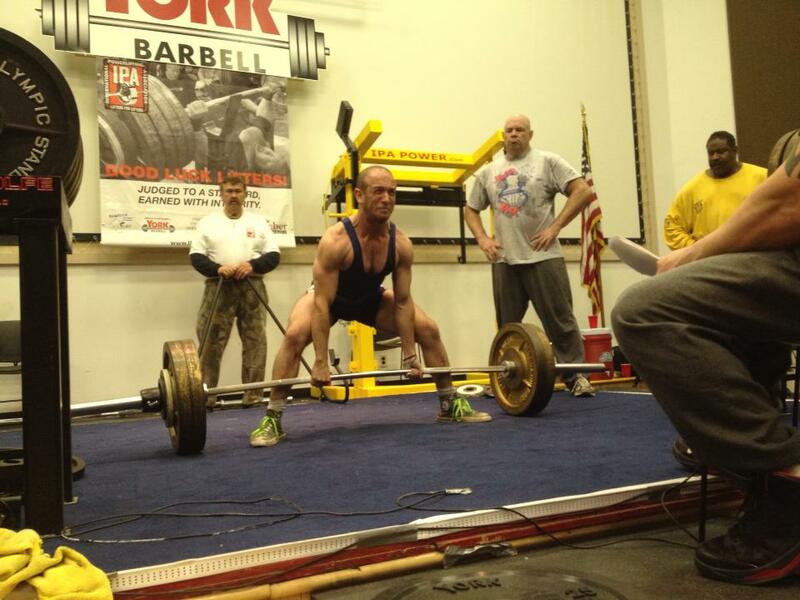 To understand why, we must examine a variety of components related to Deadlift performance. To start, let’s look at The Principle of Specificity. Generally speaking, The Principle of Specificity states that an athlete’s training must be specific to the requirements of her/his sport. The specificity in question can relate to a variety of factors but, broadly, they include everything from the actual sporting movements to the dominant energy systems utilized throughout the event. It’s important to understand that training specifically for the demands of an athletes’ sport is of the utmost importance. However, in my opinion, coaches often get too caught up in trying to make everything as specific as possible and subsequently neglect other important performance-related factors. Applying this to the Deadlift, lifters should [obviously] place an emphasis on practicing the specific variation used in competition. Doing so will help to improve a variety of factors including neuromuscular coordination as well as strengthen the exact muscle groups used during the lift. 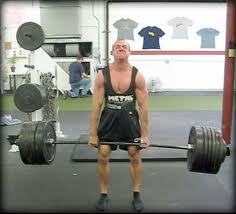 However, training other Deadlift variations will NOT hinder performance as it may, in fact, actually improve it. Taking that one step further, I’d even go so far as to say that performing other Deadlift variations is STILL SPECIFIC even if they aren’t exactly the same movement. I mean, come on. Regardless of the variation being performed, all we’re doing is lifting up a barbell and putting it back down. Sumo or Conventional, we’re always training the quads, glutes, hamstrings, and spinal erectors. Granted, the degree to which these muscles are trained is varied, but a Deadlift is a Deadlift is a Deadlift is a Deadlift. My opinion? Stop nit-picking so much and train both variations. They’re both specific to your lift and will have a positive carryover to performance. Most of us understand that in order to constantly progress we must impose a variety of movements, volumes, and intensities on the body throughout the training cycle. In layman’s terms, we need to regularly change things up in order to make consistent and noticeable improvements. Some might equate this to the recently popularized term “muscle confusion” but it’s important to understand that they are not interchangeable. In fact, muscle confusion is a crock of bull coined by scam artists like Tony Horton in an attempt to steal your money. Want my opinion on P90X and other similar programs? Read more HERE. As I was saying, variety in training is widely accepted as one of the most important factors in a well designed training program. And that list barely scratches the surface! Knowing that variety is necessary within a well designed training program, it stands to reason that only performing the specific Deadlift variation used in competition will yield sub-optimal results. Furthermore, utilizing both Sumo and Conventional Deadlift variations within our training will provide countless benefits which are often overlooked. Sumo Deadlifts are more hip dominant than Conventional variations and consequently train the glutes and hamstrings to a much greater degree. If overall hip strength is a weak point for you, Sumo variations should be a staple within your program. Conventional Deadlifts, on the other hand, train the quads, spinal erectors, and upper back far more than Sumo variations. If any/all of those area’s are causing you trouble then start incorporating Conventional Deadlift variations into your programs immediately. Personally, I pull Sumo in competition but my upper back has always been a major weakness. As a result, I regularly incorporate Conventional Deadlift varaitions into my programs (often times double-overhand) with the specific intention of improving upper back strength. Doing so has unquestionably improved not only my Sumo Deadlift but also my Squat performance. Performing the same movement over and over and over again – without any change of pace – will drastically increase the likelihood of sustaining an overuse injury. Or, in scientific terms, you might as well buy yourself a 1-way ticket to snap city. To keep your body healthy and injury free, it’s important to incorporate a variety of movements and exercises. I know many lifters overlook the injury prevention component but – think about it like this – if you get injured…you can’t train. No one likes doing the same thing over and over again for years on end. It’s boring, tedious, and – let’s be honest – it makes training less fun. Don’t fall into the trap of thinking you’re only allowed to do one, single exercise for the rest of your life. Incorporate a variety of different exercises (such as Sumo and Conventional Deadlift variations) into your programs to keep things fresh and have more fun. Afterall, that’s what training is supposed to be about – having FUN! Not sure how to vary your exercises? No worries, I’ve got you covered. Check out THIS ARTICLE and THIS ARTICLE to read my in-depth guides outlining literally hundereds of ways to vary any exercise you want. We know that we should be utilizing both Sumo and Conventional Deadlifts, but how do we program them appropriately? In the remainder of this article I’ll outline exactly how to incorporate both variations into your program regardless of which one is your preferred technique. For the best results, I recommend Deadlifting 2 times per week. For the best results, I recommend dedicating 1 day per week to Max Effort Deadlifts and 1 day per week to Dynamic Effort Deadlifts. Briefly, Max Effort involves working up to 1-5 sets of 1-5 repetitions at a weight of 85% 1RM or higher. Dynamic Effort, on the other hand, involves working up to 6-12 sets of 1-3 repetitions at a weight of 40-80% 1RM. For the best results, I recommend performing your specific competition lift (Sumo OR Conventional) for 6-9 weeks of every 12-week training cycle. Needless to say, the remaining 3-6 weeks should be reserved for your non-competition lift. Generally speaking, weeks incorporating your non-competition lift should come at the beginning of the training cycle and, as you move closer towards competition, you should perform more reps with your competition lift. I recommend more of an even split between Sumo and Conventional variations. To illustrate, for every 12-week training cycle you should devote 6 weeks to Sumo and 6 weeks to Conventional Deadlifts. Doing so will give you the best of both worlds while reducing the risk of overuse injuries. Aside from incorporating both Sumo and Conventional Deadlifts into your training, what’s the take-away message from this article? Incorporate a variety of movements into your training programs! There’s not a single “best” exercise, nor is there only 1 movement that you should do for the rest of your life. Use a variety of exercises, train hard, and – most importantly – have fun!